Leatherhead Motor Company is located in the town of Leatherhead, Surrey and is easily accessible from Junction 9 of the M25. We are located directly off Kingston Road near to Tesco. 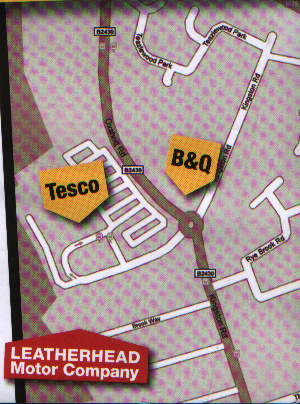 For those wishing to use satellite navigation or GPS to find Leatherhead Motor Company our postcode is KT22 7NA.